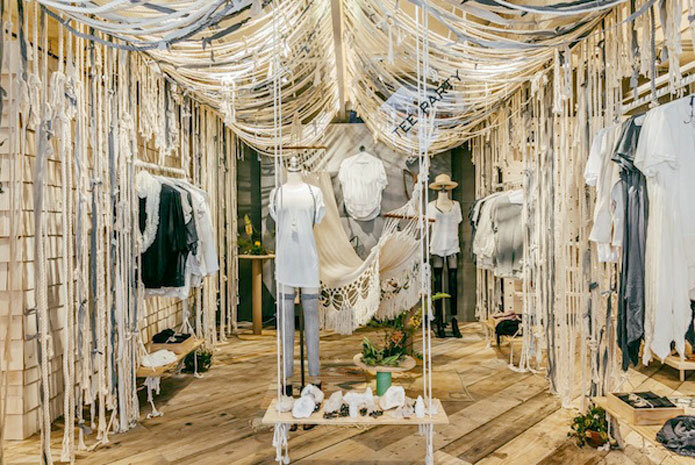 Urban Outfitters have developed a concept store that would work particularly well for Myer at some of its stores. 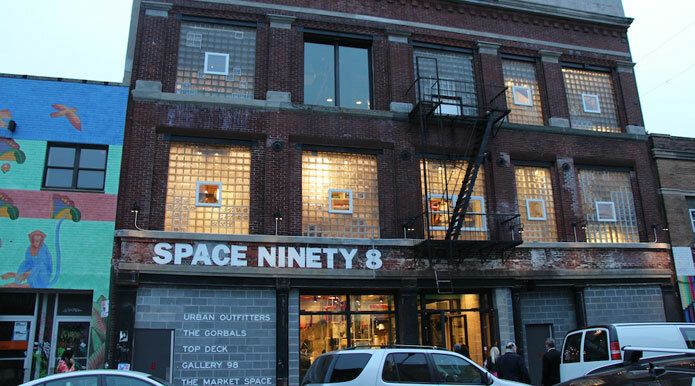 In Williamsburg, Brooklyn, they have a concept store called Space Ninety 8. Very cool building and fit out. But what makes it stand apart is the themes used to frame the retail offering. Aside from the usual trappings of Urban Outfitters women’s wear, menswear, and home and tech products, Space Ninety 8 will also be home to a great selection of products from up and coming local designers. A Local Made shop-in-shop concept is an opportunity to discover and support emerging homegrown talent and engage the neighborhood in a collective creative community. It will showcase local designers and independent makers throughout Brooklyn, with over 40 independent artists to be showcased in the space. From apparel to jewelry, ceramics, apothecary, custom bikes and even surfboards, Local Made is being presented as a collective of the best of tomorrow’s talent in one place. Local Made intend to add new names to its roster and will live as an evolving showcase for new talent in the future. Space Ninety 8 also curates other retail concepts including a strong vintage flavour with an Urban Renewal theme. Throw in Gallery 98 which will host several rotating pop-ups through out the year, and you are beginning to generate interest and theatre. So how does this have relevance to Myer you may ask yourself? Well it could actually relate to any Australian retailer with a bit of scale. However, Myer has had for quite sometime the positioning line of ‘My Myer’. It has always been rather one-dimensional in that it simply attempts to trigger an emotional association from being a long time Myer customer (for those that are!). It currently feeds off familiarity, not hard-core connection or strong reasons to make it My Myer. Space Ninety 8 moves beyond the familiarity associated with Urban Outfitters and provides a new way to experience the brand. Myer (even more than David Jones) needs to develop more novel and meaningful ways to engage with the market. There has to be reasons for calling it My Myer and for going back, time after time.